Yes, you can have it all! Located on a quiet cul-de-sac, only steps to the beach and OPEN WATER views that will take your breath away. 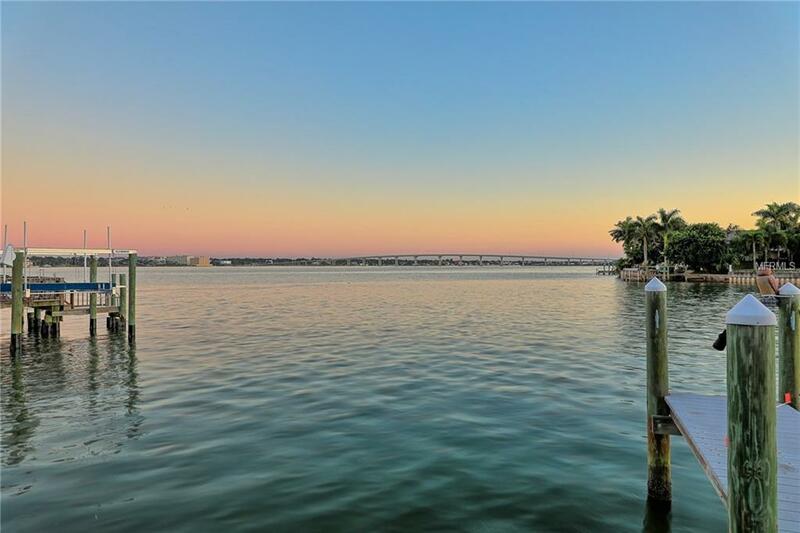 Boaters will love this home with quick access to the excellent fishing waters of the Gulf of Mexico and a protected cove with slow wake and 10 depth at high tide. The new dock, sea wall and cap provide room for 2 lifts. High ceilings and bright windows in the main living area enhance the open floor plan. The 3-way split floor plan with 2 master suites provides comfort and relaxation. The upstairs master suite enjoys a picture window with panoramic views of the water, the sparkling lights of the city and causeway. Bonus room off the master is a great flex space for a potential office or gym. The HIGHLIGHT of this home is a newly built observation deck with 360-degree views of the bay and Gulf of Mexico to watch the sun rise and set. The screened patio offers extra entertaining space with a picturesque landscape. Other features include NEW ROOF 2018, 3 AC (2014, 2015), skylights, underground utilities, driveway with pavers, walk-in pantry, walk-in linen closet, abundant storage and 2 car garage with epoxy coating. Dont let this one get away!